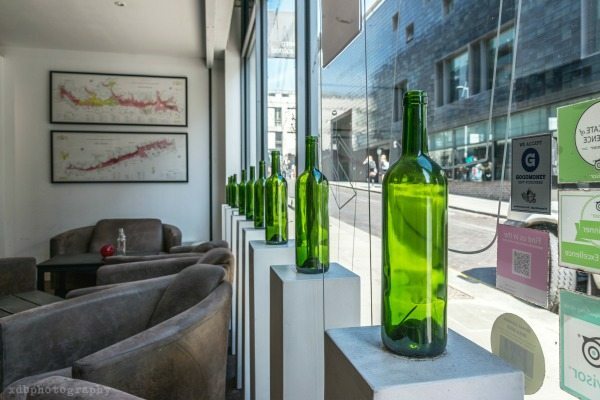 Ten Green Bottles is a wine bar and shop located on 9 Jubilee Street right in the heart of the North Laine. 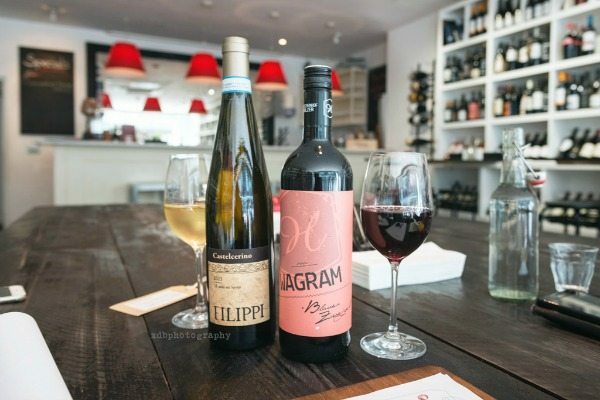 Even though the name might be inspired by the nursery rhyme, Simon Broad and his team mean serious business when it comes to wine and that’s clearly reflected on their suggested wine list and their retail choice. 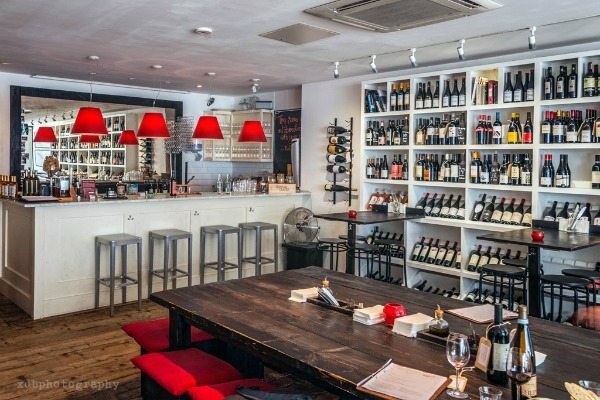 Since their opening in 2010 the idea has always been to offer a hand-picked selection of hard to find wine and offer it either to drink it in or take it away being the first choice always our favourite as the place has a great atmosphere during the evenings. 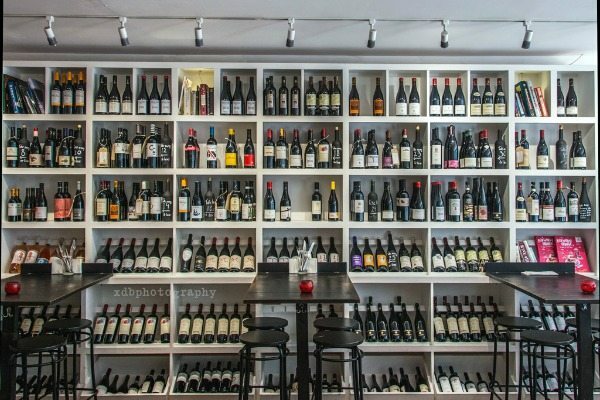 You can pick a wine from their recommendations by the glass or browse through the ones on display at the shelves and drink it in for a reasonable corkage on top of it’s retail price. Talking about their recommendations, there’s always 12 different wines tasted and recommended which change on a regular basis plus the usual English Fizz and their house choice. If you’re not sure what to have, staff are always happy to help and talk to you about their wines on a friendly and comprehensive manner. All their wines spirits and beers are selected by Simon himself and his team of 3 wine enthusiasts. Absolutely everything is tasted; as we speak, one of his managers gets back to report her findings in Chateneuf du Pape. Something particularly interesting is that they all have different personal tastes and styles but all with a common vision of what to offer; this makes their selection much more exciting. There is no bulk ordering in Ten Green Bottles, the wines are carefully selected and bought in small quantities as the idea is to offer outstanding options with more attitude than style. As Simon tells me,“wine should be balanced, elegant and subtle” and one starts understand that after a couple of visits, the wine reflects their personality and mentality in all things wine. In fact, sommeliers think that you can get to know a person by the wine they drink. At the moment about 20% of their selection is natural but it the main characteristic for any wine is that it has to be exciting and different. This same mentality is translated to their food offer, they pay a lot of attention to their choice of charcuterie, and cheese which is a mix of local and continental products imported directly from the producers. Besides that they have light bites like Manzanilla Olives or Boquerones (white anchovies) or more substantial plates like smoked salmon, or a luscious Per Las blue cheese with walnuts and honey. 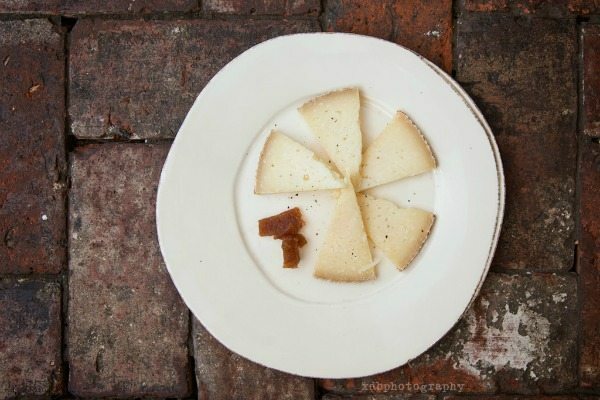 For this review we were offered Manchego and Membrillo (quince jelly) to start. This is no ordinary Manchego as this is what the Spaniards eat, dry, creamy and intense on flavour. 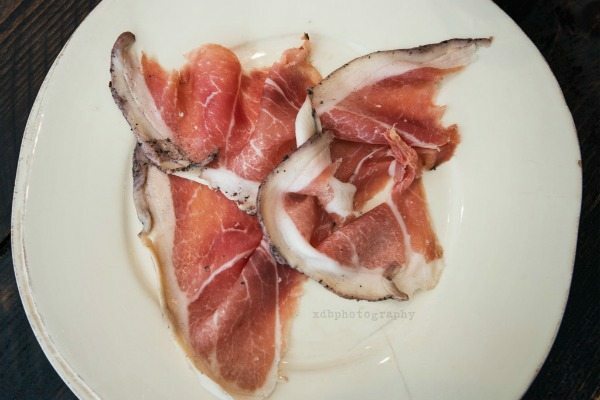 A plate of Vinapesso followed which is a ham from Verona cured in Amarone wine, it goes particularly well with wine from Valpolicella. In the meantime, we had a glass of Castelcerino Filippi Soave 2013 a 100% Garganega from the Veneto region in northeaster Italy. This wine is a biodynamic dry white. Very light and elegant, has no oak which makes it easier for everyone to enjoy, the alcohol is at a low 12%. A while later we were presented with a mixed cheese and meat plate. As a note, on the menu you have the option to choose what mix of cheese and meat you’d like which is a plus if you are drinking certain style of wine; otherwise you can just go for the full mixed platter which is great to share. We had Speck and Bresola for meat; Montgomery and Golden cross for cheese. At this point we moved on to a fantastic glass of red, an Eschenhof Holzer 2013 an Austrian 100% Blauer Zweigelt from Wagram, a region previously called Donauland (Danube Land) as the river splits the region in two. The wine is light in body but intense in aromas and flavours, lots of red fruits, with a touch of spice. Perfect for cured meats and at 12.5% is very easy to drink. The interiors are spot on for a wine bar and shop, decoration is simple, colours get you in the mood immediately and having the bottles on display is a plus. Service is warm and friendly and always happy to help on any doubts you might have. As an alternative to wine, there is a selection of cocktails, spirits and beer; This is small but you can find really good stuff. It’s more about the quality of the products so it needs to be simple. 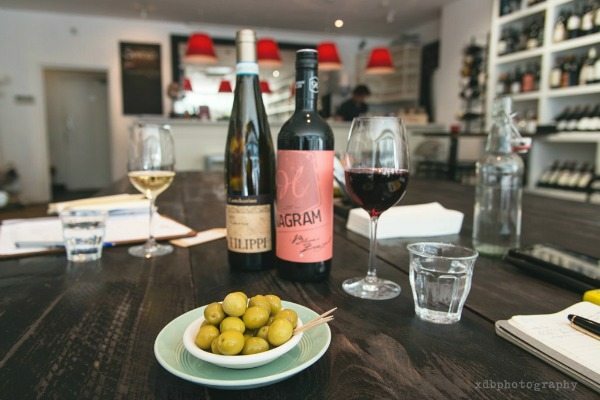 Ten Green Bottles offer regular wine tastings which can bee seen on their website and they are open for private and corporate tastings as well.